AMSTERDAM, Feb. 6, 2019 /PRNewswire/ -- Analysts all agree on one thing; the HVAC industry just keeps growing. However, the drive for more energy efficient heating and cooling have meant technologies like Inverter-based VRF and Split systems are replacing the more traditional systems. The closed nature of HVAC architecture makes seamless integration between home and building automation systems and the newer HVAC technologies extremely difficult to implement. Integrators find themselves having to reinvent the integration process, including time consuming coding on almost every installation. In many cases integrators are opting out of this quagmire and declining HVAC integrations, leaving their customers with partial or no solution. CoolAutomation is offering the industry an answer. The company has developed robust and bidirectional integration devices and software that dramatically simplify Inverter-based HVAC integration. The company's latest offerings support all leading HVAC brands, such as Daikin, Mitsubishi Electric, Toshiba Carrier, Fujitsu, LG and many more. Integrators, vendors and HVAC engineers in over 90 countries are already familiar with CoolAutomation's plug-n-play VRF integration solution: CoolMasterNet, a universal HVAC bridge, which allows seamless integration between all VRF HVAC and almost any home automation system. CoolAutomation announces the beta release of a similarly simple and easy to use solution for Split HVAC systems. 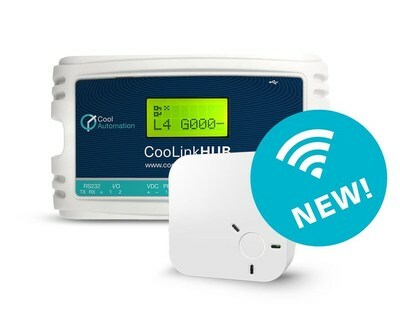 The new wireless CoolPlug & CooLinkHub allow single split units to be interconnected and integrated into a home automation system. From a single home or building automation solution, end-users gain full control of all indoor units. The company's new, wireless CoolPlug will allow integrators to connect and retrofit existing split and multi-split systems without necessitating any wiring between components. The generally-available product will be on sale by the end of Q1 2019. Koen Pepermans, CoolAutomation EVP Sales and Business Development: "Home and building owners worldwide are looking to continuously improve their control and energy efficiency. The challenge today is to accommodate the increasing demand from mid-sized HVAC system owners: A reliable solution for home automation, including HVAC - all from a single control panel and incorporating voice control. Bottom line – this means more projects for integrators, empowering them to bring high quality integration projects to their new and existing customers, covering all HVAC system types," Koen concluded. CoolAutomation is an Israeli-based design and development company specializing in Heating, Ventilating and Air Conditioning (HVAC) integration solutions. The company's products offer plug-n-play virtualization and connectivity for all types of HVAC systems and from all vendors, coupled with an out-of-the-box cloud-based solution for control and optimization for these systems. The company is led by a unique team of seasoned entrepreneurs and software, hardware and HVAC experts. The company's vision is one of creating an interoperable world, where connecting, controlling and optimizing HVAC is simple and cost effective.